Abigail is a certified Holistic Massage Therapist, Wellness Coach, Human Design Reader as well as a Healing Touch Level 3 Student. 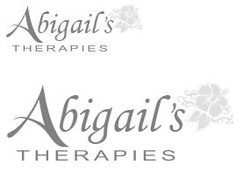 As a Massage Therapist, Abigail works to help her clients recover from stress and stress caused by injury using both Swedish and Deep Tissue techniques. She helps her clients relax, release, and re-align with their bodies. Also an energy worker, Abigail guides her clients to find their own spiritual and energetic or emotional balance. 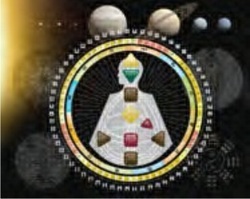 Using Healing Touch interventions she helps her clients achieve a true holistic (mind-body-spirit) and balanced healing. Where Thought Goes ... Energy Flows! Healing Touch is a relaxing, nurturing energy therapy. It uses gentle, heart-centered touch to assist in balancing your physical, mental, emotional & spiritual well-being. Often practiced, the CHAKRA CONNECTION works to open connect and balance the major and minor chakras. A full-body intervention that affects the entire chakra system. Used alone or in combination with other Healing Touch interventions. Intrinsic aromatic oils with heart-centred touch enhances the body’s natural ability to heal. Human Design is a unique system that maps your energy circuitry in this life. Using this powerful guide Abigail gives personal, precise and powerful information about you, your relationships, key insights into: who you are; how you affect and are affected by others; how you make decisions. Send Abigail an email with your name, birth date, birth time and place of birth if you would like to receive your FREE Human Design Chart by: Jovian Archive.